The detailed coordination of a complex operation involving many people, facilities, or supplies. At Phoenix Metals the work day isn’t over at 5:00 PM. In many ways it’s just getting started. Orders are processed and packaged throughout the day and continues through the evening. Most trucks start being loaded around 10:00 PM so that they will be able to be at the first stop the next morning when the customer opens. A form of transportation that travels regularly between two places. 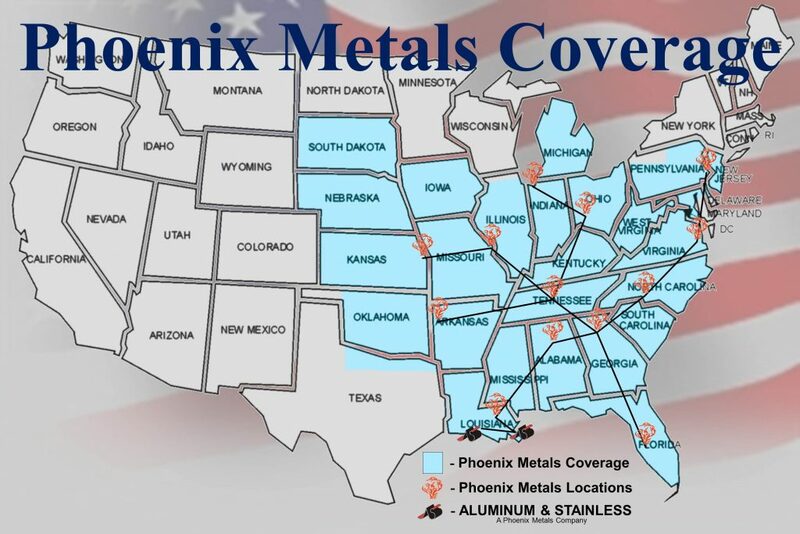 With 14 service centers, Phoenix Metals is unique in its ability to move material swiftly and efficiently. We are able to take advantage of the different processing capabilities of each of our locations to process and move material better than any of our competition. the state or quality of being dedicated to a cause.